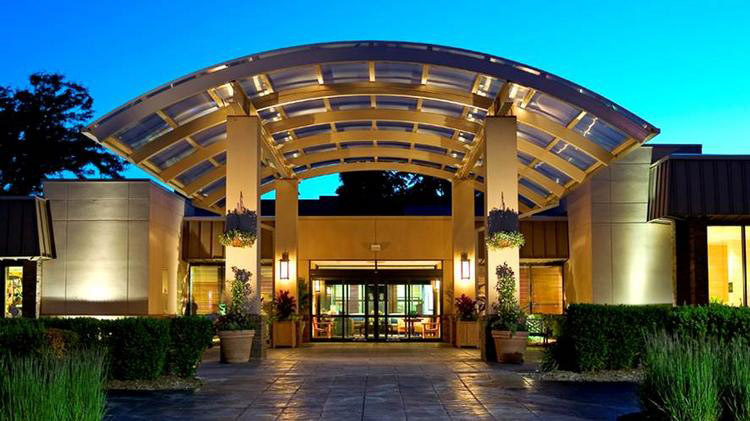 Nexus Game Fair 2019 will be held at the Sheraton Milwaukee Brookfield Hotel. In order to continue to offer our attendees the most affordable gaming experience possible, we found the ideal partner with the Sheraton. The hotel already has a strong history with gaming events, and is ideally located next to a large shopping mall with many dining options. Plus, with almost 400 hotel rooms, we have plenty of room to grow! Nexus Game Fair has secured a very competitive standard rate of $89/night for our show attendees booking Double Queen and King rooms in our block. Parking at the hotel is free to all attendees and an airport shuttle service is available. Be sure to make your reservation early, as our room block will sell out! The Sheraton Milwaukee Brookfield is located at 375 S Moorland and is just a few minutes off of I-94. If you are driving, take Exit 301 off I-94, which is S Moorland Road proceed north to the hotel address, which will be located on the west side of Moorland.